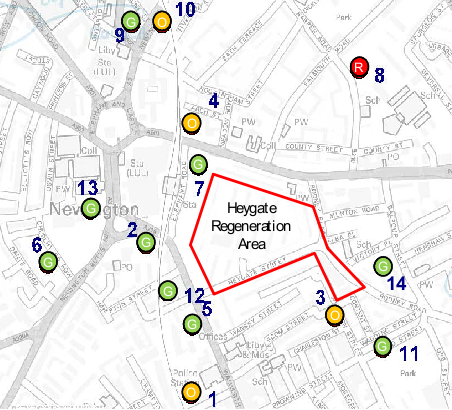 How green will the new Heygate be? Following objections to the Heygate Phase 2 outline planning application from the Elephant Amenity Network, developer Lend Lease issued an amendment to its Energy Statement. The good green news is that there are two Combined Heat and Power (CHP) plants proposed within the Energy Centre. These are acknowledged to be highly efficient and are the desired solution for modern energy requirements. The bad news is that CHP will only be meeting just over half of the total heating demand of the new development. The other half will be met by good old-fashioned gas boilers. Biomethane gas would make this a greener option but the supply is still in doubt. It won’t be produced on-site or off-site by Lend Lease. The gas will come from the national grid but will be paid for at a premium biomethane price: a bit like green tariff electricity. Whether you can get biomethane will depend on whether there is enough being injected into the grid. There are currently no operational biomethane plants injecting into the UK gas grid. Despite this, Lend Lease claim that there is a possibility that 15% of the gas supply could be supplied by biomethane by 2020. It is also a big shock to the 35% campaign that there is no guarantee that the Energy Centre on the Phase 2 Heygate development is going to be connected to the Phase 1 development. The separate Phase 1 application proposes having its own Energy Centre - again reliant on gas boilers with CHP providing just half of its total heating requirements. The outline planning application optimistically lists 14 other sites including Phase 1 that could ‘possibly’ be linked at some future date. But this would only be possible by installing extra plant. However, questions still remain as to whether there is enough room in the Energy Centre for extra plant and who would pay for it. Let us remember that the fabled ‘MUSCo’ was going to provide 10,000 homes with renewable energy. It was a pioneering scheme endorsed by Bill Clinton as a global example of ‘carbon zero’ development. The ambitious plans proposed a biomass CHP plant generating green heat and power from organic waste. It was also going to provide a bore-hole for a green water supply and an automated vacuum waste collection system moving municipal waste through underground tunnels. Now Lend Lease have submitted applications that propose no on-site renewable energy, and which barely connect one side of the estate with the other.